The iPhone 5 is coming and it’s coming soon. Earlier this month, Apple filed a complaint with the World Intellectual Property Organization over the use of the iPhone5.com domain by a third party. That pretty much guarantees – as if we couldn’t have guessed – that the company wants the name ‘iPhone 5′. This week, the web has been abuzz with new rumours that Apple will, after all, announce the iPhone 5 at its Worldwide Developers Conference (WWDC) in June. Although last year’s announcement of the iPhone 4S didn’t happen until October, the WWDC has historically been a place for Apple to make big announcements – so an iPhone 5 announcement there would be something of a return to tradition for Apple. The iPhone 4S bettered its predecessor is several ways, with new features including Siri, the voice-controlled search tool, a much better camera and a notably nippier processor. But it’s the ‘true’ successor to the iPhone 4 that Apple fans are really waiting for. 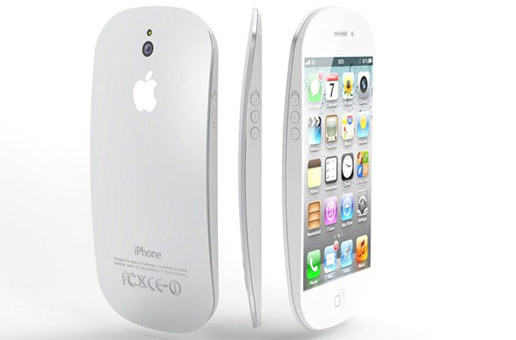 So what can we expect from the incoming iPhone 5? Here’s the buzz from across the web. Larger-screened phones are becoming the norm and the expectation is on Apple to beef up the size of its next iPhone’s display. That 3.5-inch screen is starting to feel a little cramped – especially when stacked up against competition such as the 4.8-inch HD screen on the Samsung Galaxy S3. “Considering the moves made by the rest of the smartphone industry to increase screen size, it will be interesting to see whether Apple follows suit,” says Luke Peters, editor of gadget magazine T3. A September 2012 release date for the Apple iPhone 5 is looking increasingly likely, with a news announcement expected to be made at the Apple WWDC on 11 June. The September release date rumours , which we reckon makes them pretty watertight. But the iPhone 5 may not make its September debut alone. Apple is also rumoured to be readying a slimmed-down iPad Mini later this year, to complement the iPhone 5. Venturembeat claims that the iPad Mini will feature a 7.1-inch screen, with Apple apparently already buying up these smaller screens from manufacturers. The iPhone 5 is reported to be rocking a noticeably different design to the previous iPhone 4 and 4S models, with new casing for a five-inch-screen model rumoured. According to Business Insider, the slimmer, big-screen iPhone 5 did exist late last year (before Steve Job’s untimely death). However, the company chose not to release it in 2011 as it didn’t want to create a ‘two tier’ iPhone ecosystem and its engineers wanted to develop the product further before any announcements were made. Other reports, citing one of Apple’s suppliers as a source, claim the new iPhone 5 will have a curved 4.6-inch Retina screen. A source told South Korean newspaper Maeil Business that Apple has already started placing orders for the curved screen for its forthcoming new iPhone. Superfast 4G LTE mobile web functionality is pretty much a given for the new iPhone 5, since it is already featured in the third-gen iPad released back in March. However, 4G mobile web access won’t be of much interest to Brits until we have a nationwide 4G network to match that of our US cousins over the pond. The process of rolling that out is set to begin later in 2012. Expect to hear a lot more about NFC in the next few months. The Samsung Galaxy S3 – one of the iPhone’s biggest competitors – includes NFC, a feature that makes it easy to swap content between phones and also to pay for goods using contactless pay points. Apple’s new iPhone 5 is almost certain to feature NFC. The eight-megapixel camera on the iPhone 4S is an absolute belter, but internet whispers suggest that we might see an even better, Sony-manufactured camera packed into the new iPhone 5 later this year. A new streamlined Sony camera with a back-illuminated CMOS sensor would certainly enable Apple to make the iPhone 5 considerably slimmer than the current iPhone 4S, which means that this is an iPhone 5 rumour that makes a lot of commercial sense. Avid iPhone gamers are talking a lot about the possibility of an auto-stereoscopic (glasses-free) 3D screen on the iPhone 5, which would enable the new smartphone to go head-to-head with Nintendo’s own 3DS console. But this is one that definitely isn’t going to happen. Why would Apple have any interest in taking on Nintendo in its increasingly niche market? It already has thousands of creative game developers and millions of happy gamers worldwide. Why follow the lead of Nintendo and bet the farm on a 3D gimmick?